Media and Contents: 205 plastic parts in green plastic; two lengths of flexible vinyl track; one sheet of vinyl mesh; one sheet of die-cut clear acetate; four large and 20 small polythene caps; markings for three vehicles.. 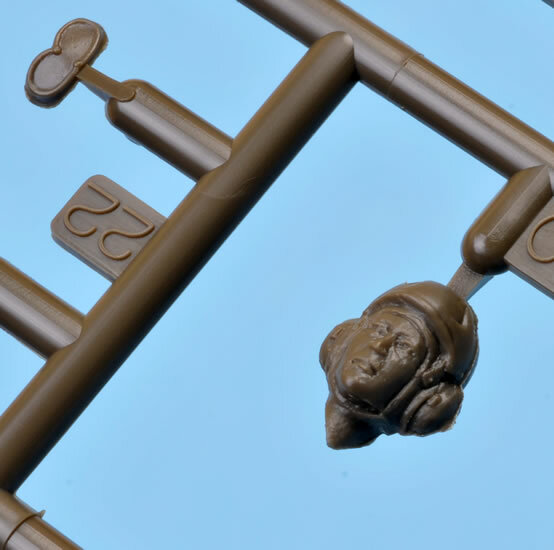 Advantages: Straightforward build; unique subject; superb surface textures; high level of detail; excellent fit; includes two crew figures. 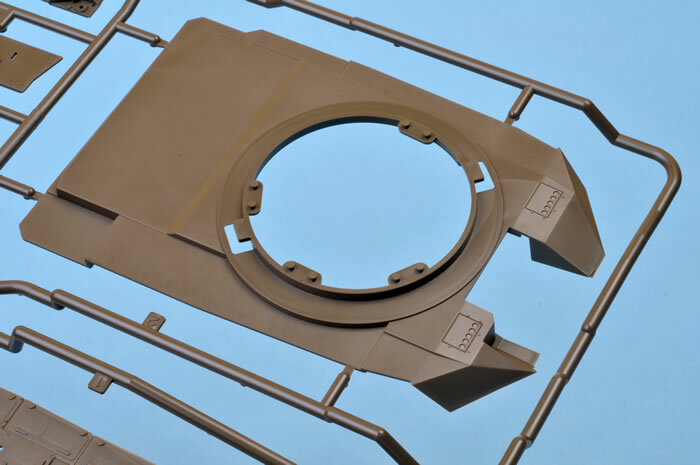 Disadvantages: A few ejector pin circles on the insides of the turret hatches. 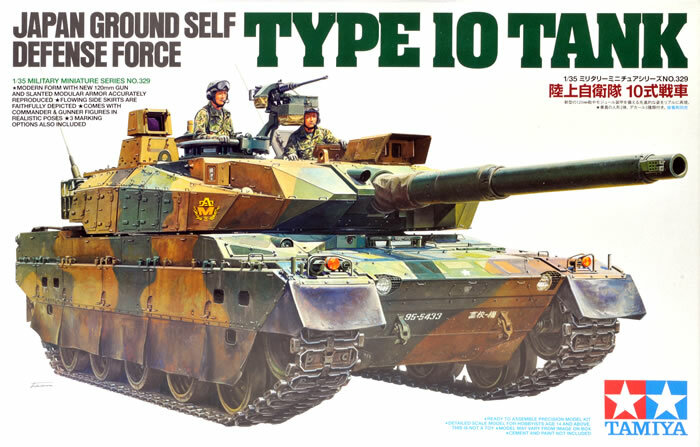 The Type 10 is a Third Generation Japanese main battle tank designed as a replacement for the recently retired Type 74 and the currently serving Type 90 tanks. Development of the new vehicle commenced in 1996. 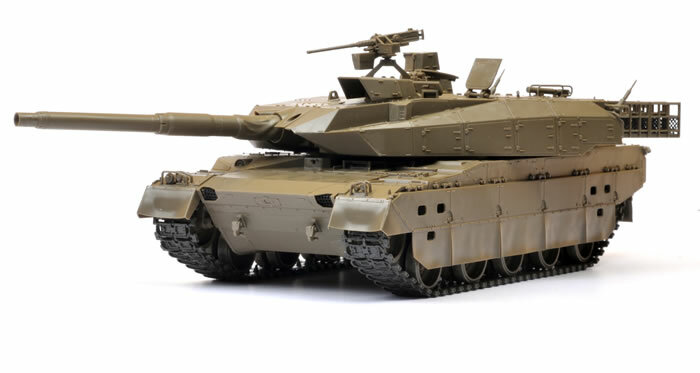 13 Type 10s were delivered in 2010, followed by another 13 each in 2011 and 2012. At 44 tons, the Type 10 is six tons lighter than the Type 90 and dimensionally smaller than its predecessors, but still manages to pack a punch thanks to its locally designed 44 calibre 120mm smooth bore main weapon. 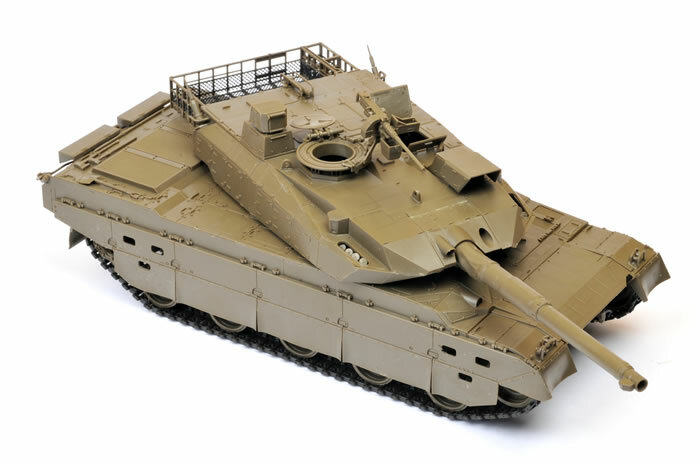 This is equivalent in firepower to the Rheinmetall gun fitted to the Leopard 2. 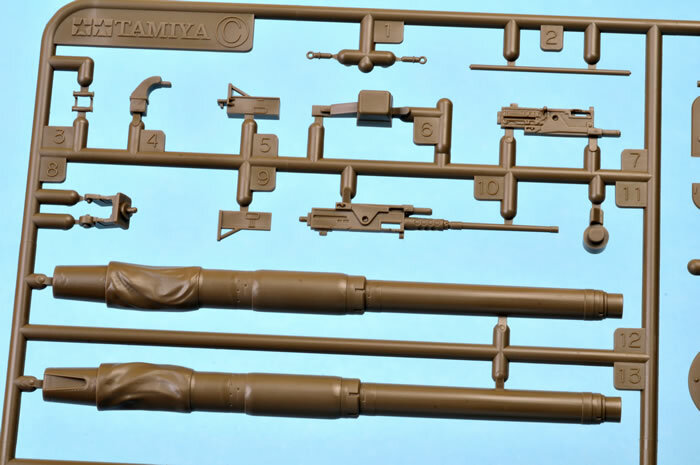 Longer 55 calibre barrels are also available as an option and may be seen on later models. 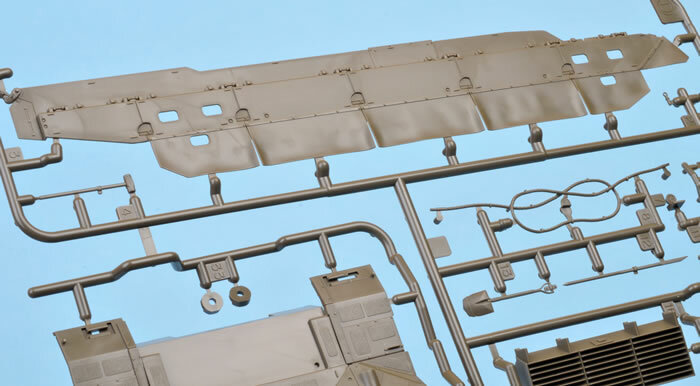 The Type 10 is fitted with an auto-loader, meaning a crew of only three is required – Commander, driver and gunner. 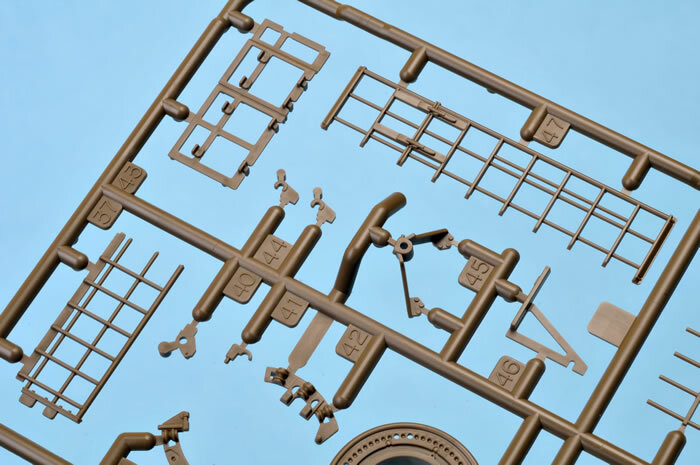 A coaxial machine gun is fitted, and a further external .50 cal may be fitted to the Commander’s cupola. 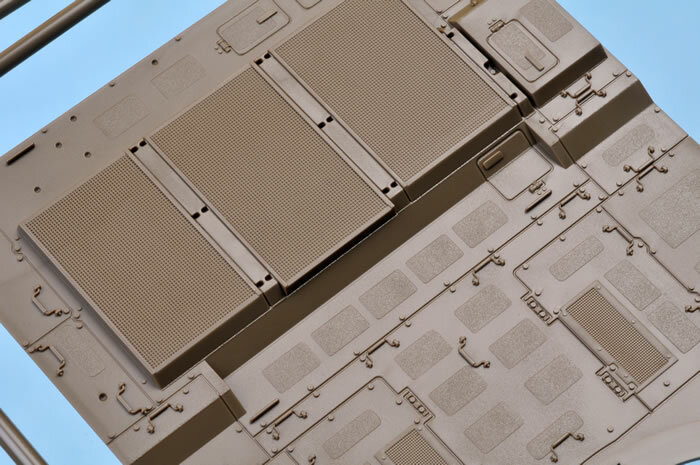 The Type 10’s use of nano-crystal steel and modular ceramic composite armour has significantly improved its defensive capabilities compared to the Type 90. Power is supplied by a 1,200 hp V8 diesel engine and a continuously variable automatic transmission, delivering a top speed of 70 km/h – either forwards or backwards! 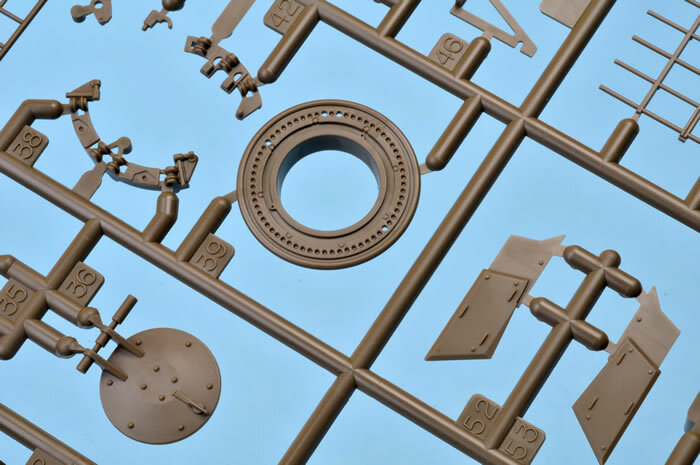 Tamiya has been quick off the mark with their brand-new kit of a brand-new vehicle. 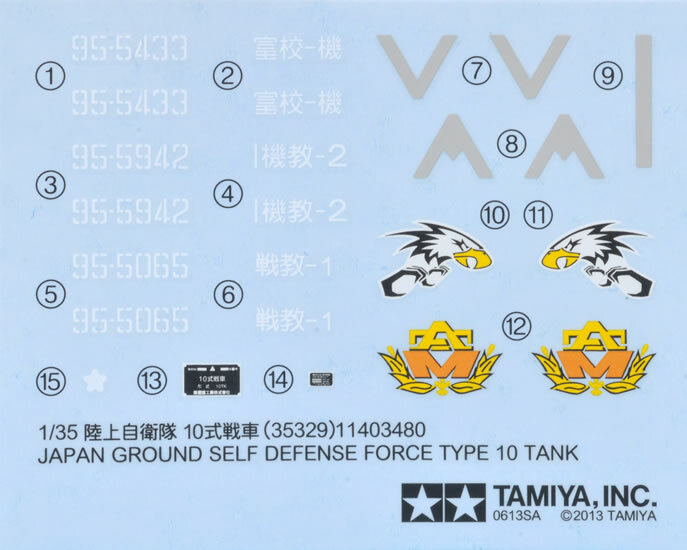 Their 1:35 scale Type 10 tank comprises a modest 205 parts in dark green plastic, two lengths of flexible vinyl track, one sheet of vinyl mesh, one sheet of die-cut clear acetate, four large and 20 small polythene caps, plus markings for three vehicles. 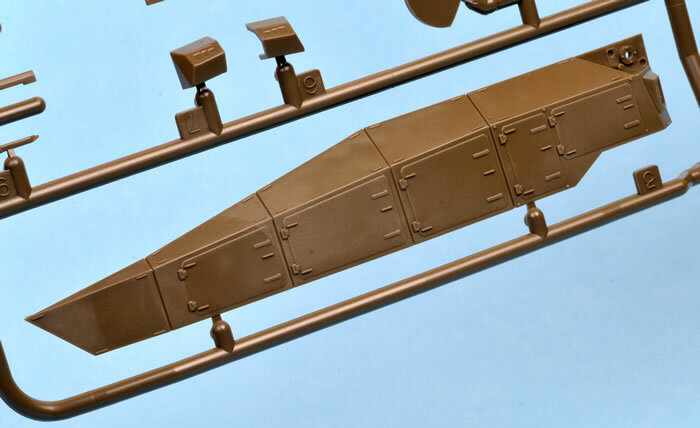 The smooth lines of this modern tank are very obvious from looking at the main hull and turret parts. Many of the lumps and bumps of traditional tanks have been smoothed over, covered up or recessed into the hull or turret. 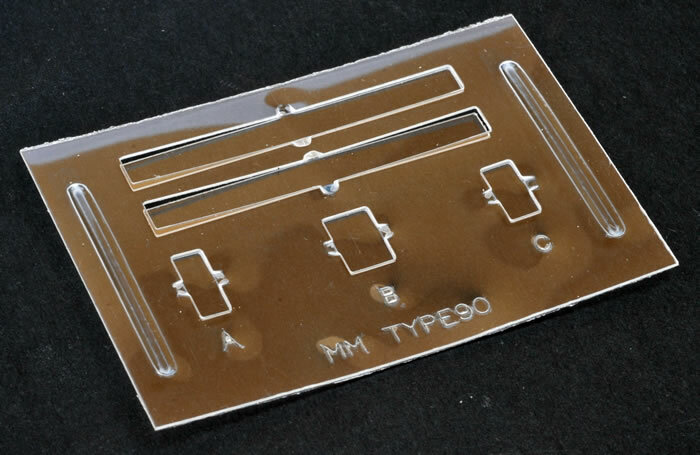 This streamlined design results in an even simpler build for the modeller, but this does not imply any lack of detail. The surface textures on this kit are simply superb. 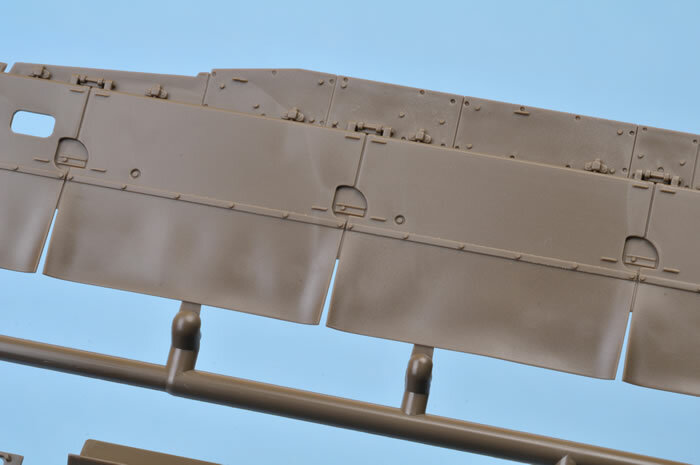 The hull and turret are covered with anti-skid patches, hatches, hinges and tie-downs, all beautifully done. 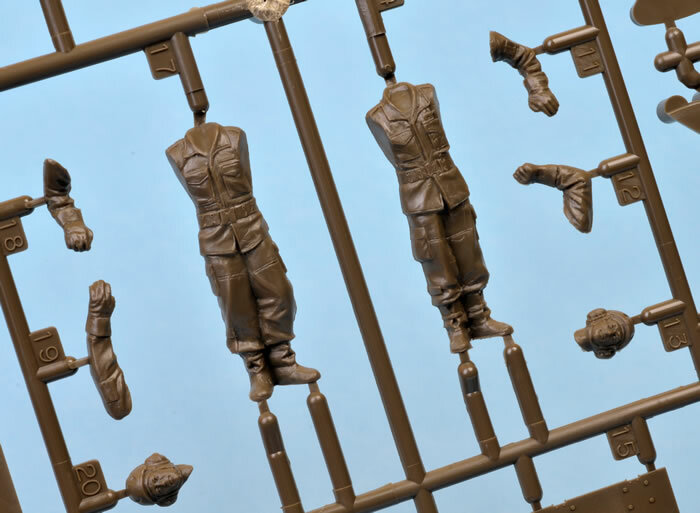 The heavy skirts are also noteworthy, featuring some of the most convincing rubberised drape that I have ever seen in injection-moulded plastic. 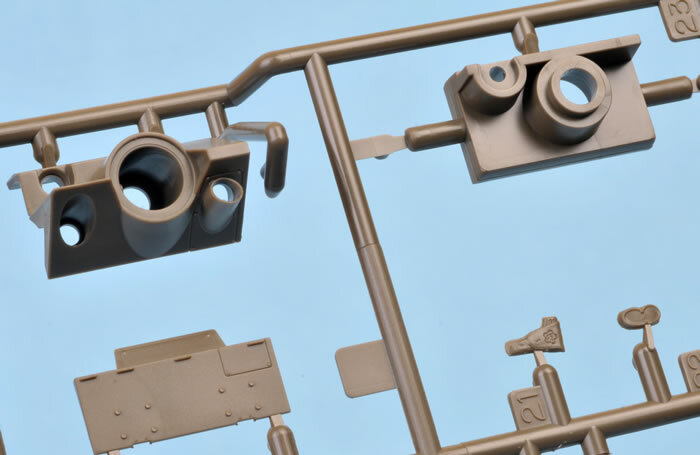 All the unique attributes of the Type 10 are present, including the armoured external Commander’s and gunner’s sights, each offering the option of open or closed flaps. 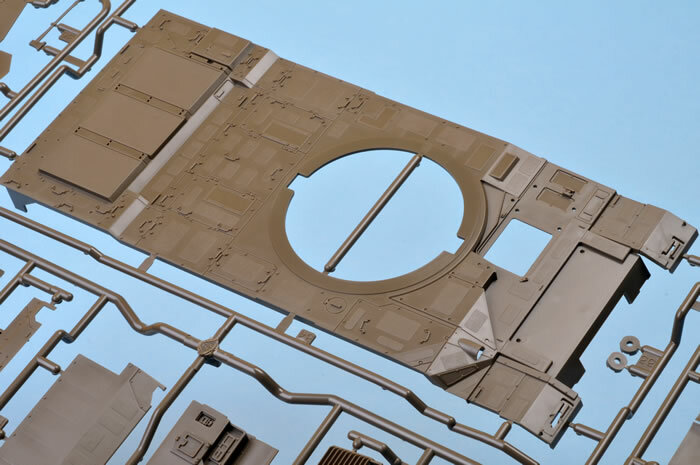 The lenses for the sights, as well as the cupola vision blocks, are supplied on a clear die-cut acetate sheet. 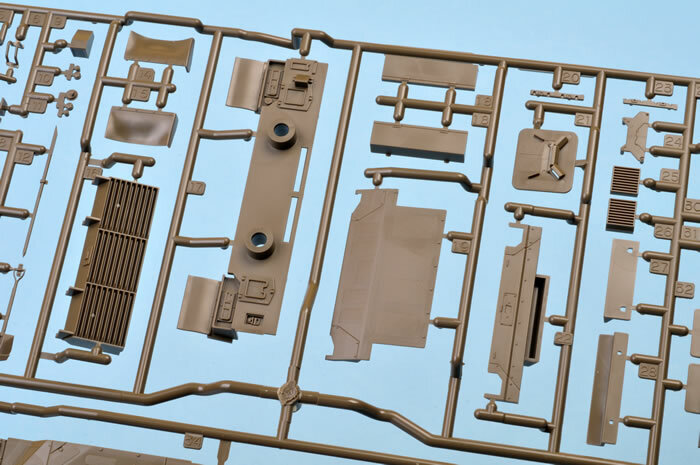 In an interesting example of recycling, Tamiya has supplied the acetate part for the Type 90 and provided instructions for cutting it into the appropriate sizes for this new model. 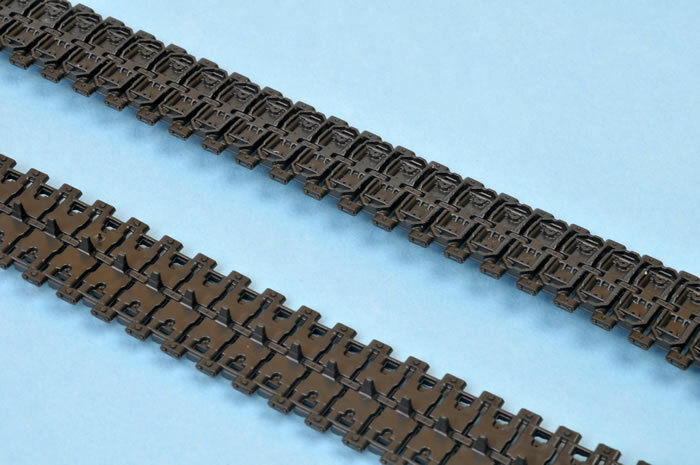 The full-length flexible tracks are flawless. 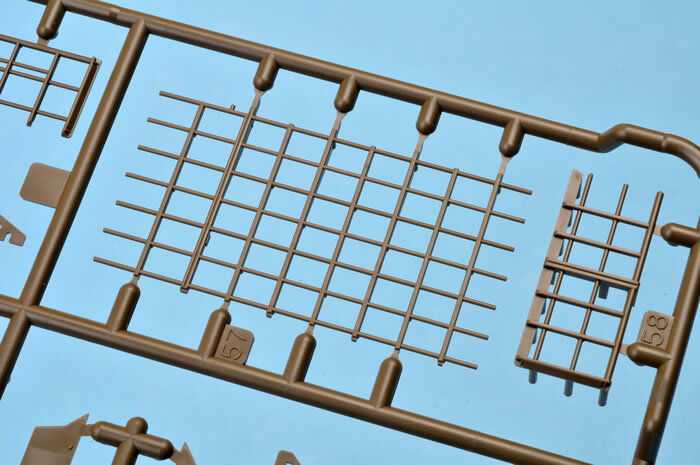 Considering the high quality of the kit parts, and also bearing in mind that most of the track run is hidden behind the track guards and low skirts, I think after-market tracks would be a waste on this model. 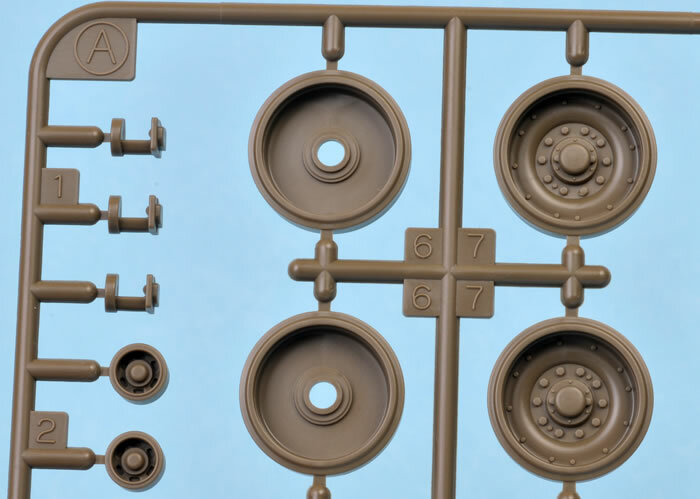 The wheels, drive sprockets, Commander’s sight and gun barrel are all fitted via poly caps, allowing the parts to be moveable after assembly. 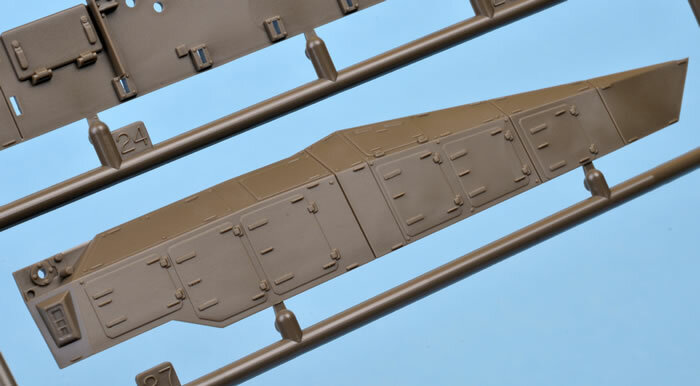 The Commander’s hatch, the rear of the gunner’s hatch and the environmental sensor are hinged and therefore also moveable. 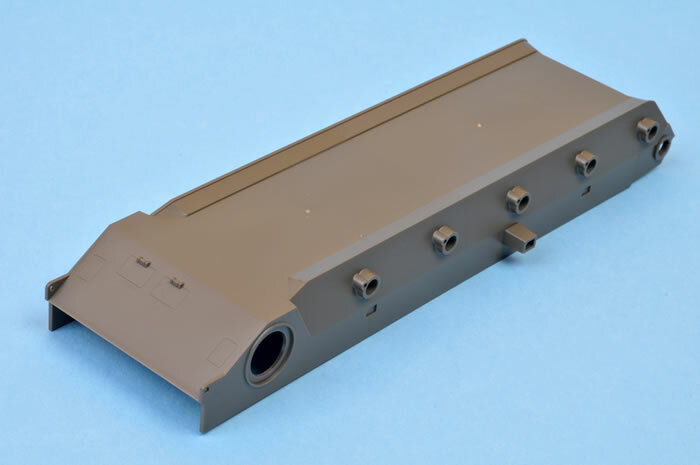 The gun barrel is supplied in three pieces – two main halves split lengthwise and a separate cap for the end. The headlights have solid (i.e. not clear plastic) lenses, which I would normally consider a disadvantage. 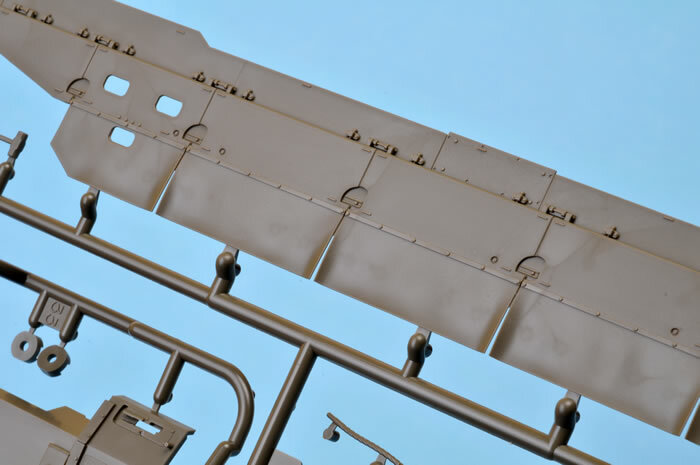 However, these are recessed into the front hull and covered by mesh, so they are all but invisible anyway. 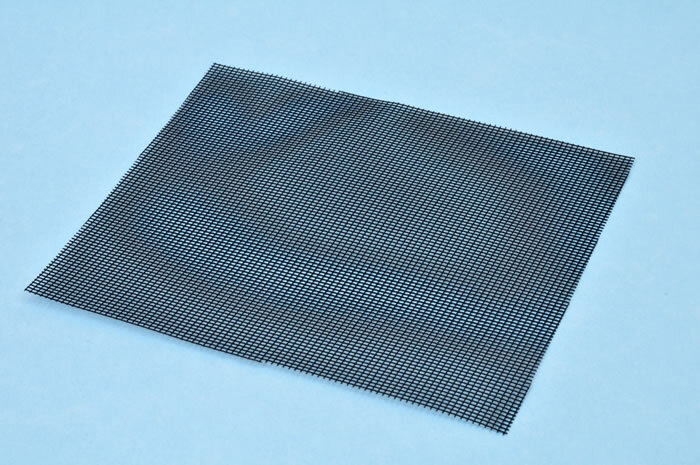 A sheet of black vinyl mesh is provided for the turret basket. Markings are supplied for three vehicles. They are nicely in register and should snuggle down nicely under a coat of setting solution. 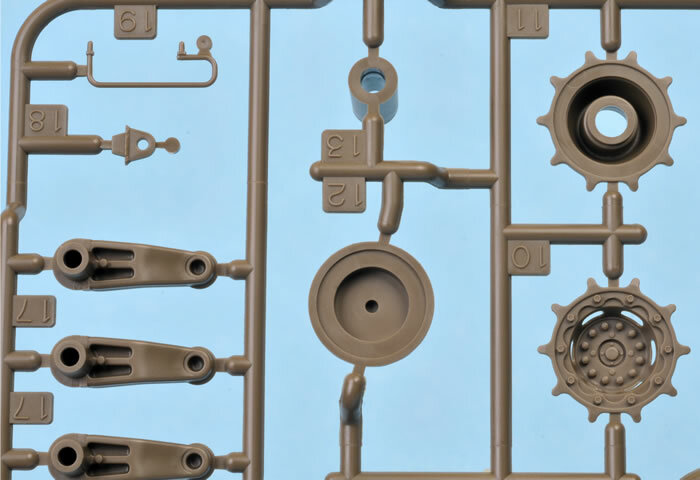 I have already built this model and can confirm that it goes together quickly and easily. My only note of caution is that the tracks are a little loose if you fit the idler wheel adjustment per the kit instructions. 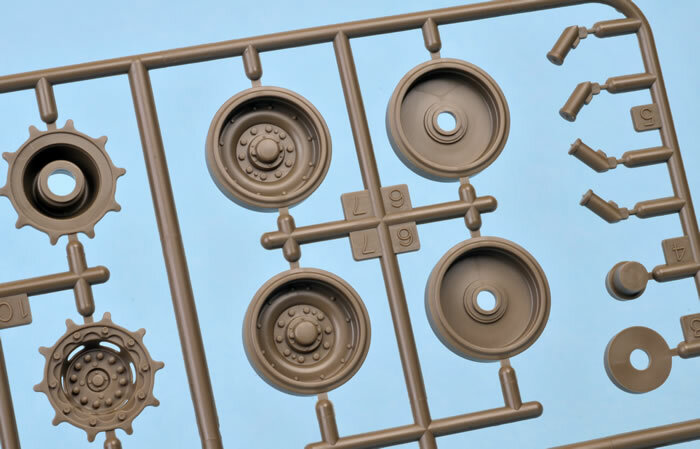 It will be worth test-fitting the tracks against the idler wheel in various positions before you glue the idler arms (Parts 16) in place. Alternatively, you could just shorten the tracks (that’s what I did, as I had glued the idler arms in place before test-fitting the tracks). 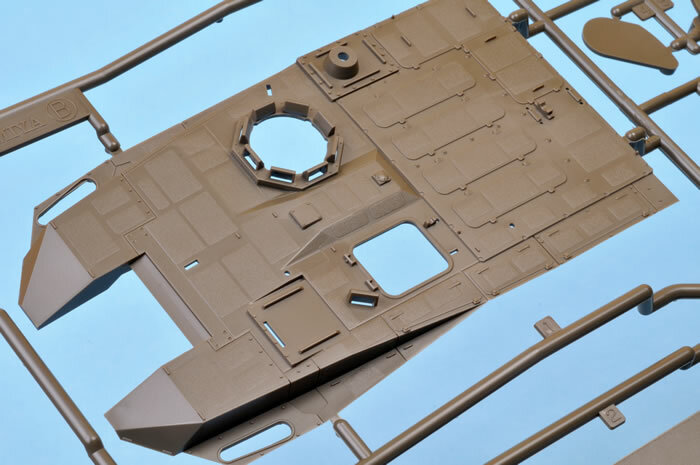 The only other tricky bits are the vinyl mesh sections for the big turret basket. These must be cut to size and glued in place before the basket parts are assembled. 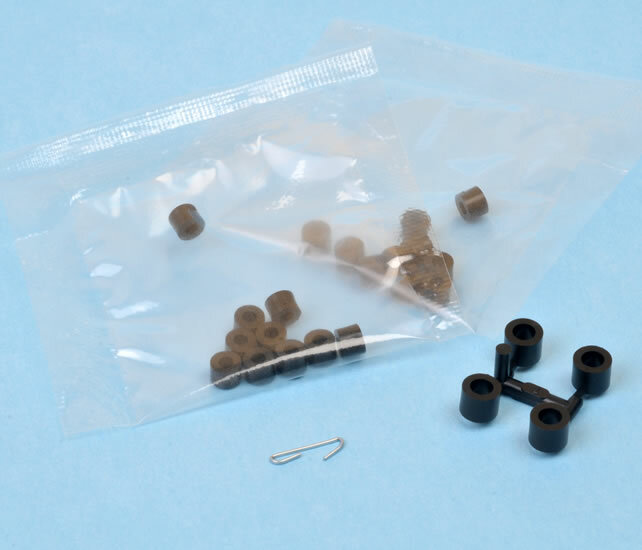 Take your time test fitting and make sure you are gluing the mesh to the insides of the plastic parts – it is not blindingly obvious in every case. 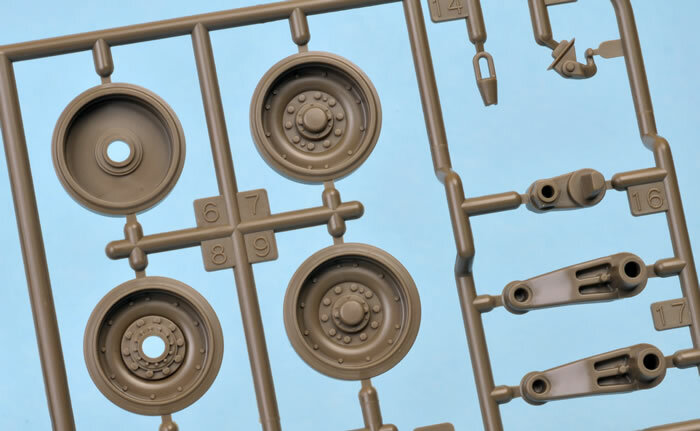 I had no particular interest in modern Japanese tanks until I opened the lid of Tamiya’s 1:35 scale Type 10, then I literally could not resist building it. 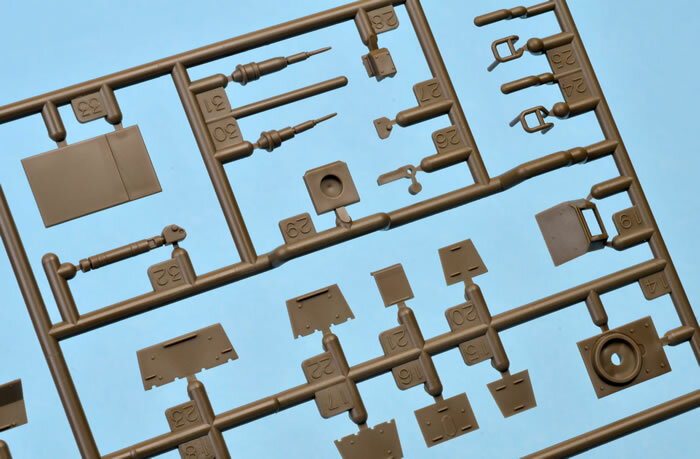 Tamiya has delivered another state-of-the-art kit with its Type 10, and has further refined their design philosophy of high levels of detail, superb surface features and modeller-friendly parts breakdown.